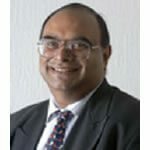 Mr Paul Sabapathy CBE was born in Chennai in India, and moved to the UK in 1964. He completed a Masters Degree from Aston University and qualified as a Chartered Management Accountant and Chartered Global Management Accountant, becoming a British citizen in 1984. After a 28-year career in industry holding senior positions with IMI plc, and retiring as Assistant Managing Director of IMI Titanium in 1996, he became the Chief Executive of North Birmingham Community NHS Trust, serving until 2000. He has been Pro-Chancellor and Chair of the Board of Governors at Birmingham City University and has served as a member of various Higher Education Funding Council committees. He served on the Boards of both Black Country and Birmingham Heartlands Development Corporations. He is a Governor of The Royal Orthopaedic Hospital NHS Foundation Trust and a Trustee of the Bournville Village Trust. He was awarded the OBE for services to urban regeneration in 1995. In 2004 he was awarded a CBE for services to business and education in the West Midlands. Paul was appointed as the first non-white Lord- Lieutenant in 2007 and held this post until September 2015.